Written on April 16, 2010 . Posted in Announcements + Updates, Foundation Studies, Updates from & for Faculty. 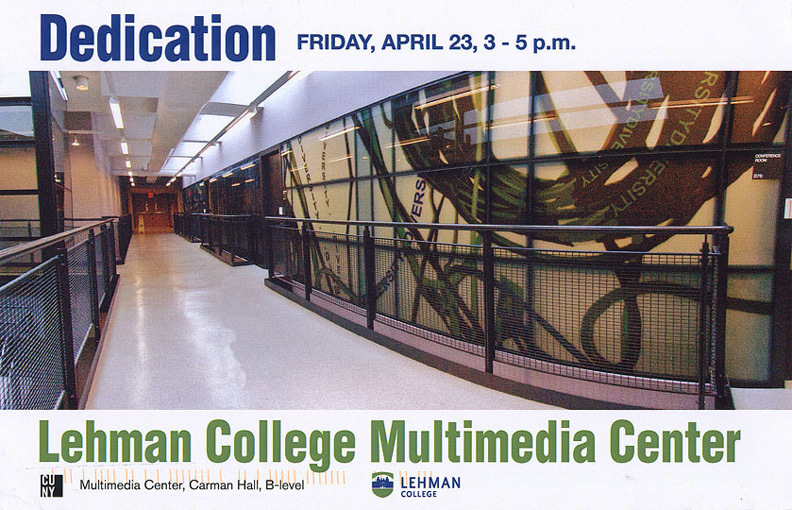 Lehman College’s new Multimedia Center and Nade Haley’s (Professor, Foundation Studies) “Outside In” public art project in the Center will be dedicated on April 23, 3-5 p.m. To catch a preview of the Center or for directions, visit www.lehman.edu/multimedia-center or to view images of “Outside In” visit http://www.nadehaley.com.